Lucas Ordonez, winner of the first-ever Nissan PlayStation GT Academy competition, will race in Japanese Super GT in 2014. After serving the ultimate Nismo apprenticeship – which has seen him take two international championship wins and two podium finishes at the Le Mans 24 Hours – the 28 year-old Spaniard will partner with Kazuki Hoshino in the NDDP Racing Nissan GT-R Nismo GT3 in the GT300 class. This Super GT drive is just reward for the hard work Lucas has put in since winning GT Academy in 2008. Paired with the recent announcement that he will race Nissan’s revolutionary ZEOD RC prototype at Le Mans in June, it is going to be a very special year for the Spaniard. 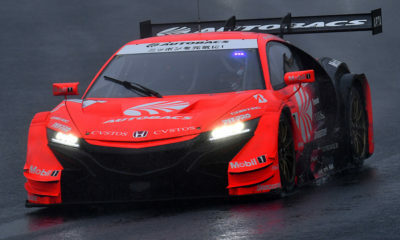 “To race in Japanese Super GT has been one of my goals since I started my racing career,” said Ordonez. “It’s a fully professional championship with official works teams competing so I will have a great chance to fight at the highest level and prove to everyone why I got this seat. Super GT won’t be a completely new environment to Lucas as he raced in the Suzuka 1000kms and the Fuji Sprint Cup in 2013. “Last year I had the opportunity to do two races in Japan at two of the most important race tracks there,” he continued. “I found that there is no room for any distractions or mistakes out there on the track. “Everything is extremely professional and the tyre manufacturer battle means that track conditions are really tricky at any time.